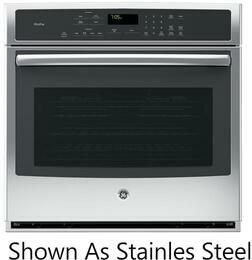 GE is a time-tested manufacturer of kitchen, laundry, and ventilation appliances that bring function and style into your home or business. 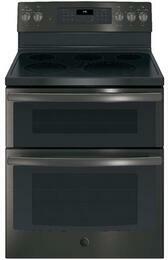 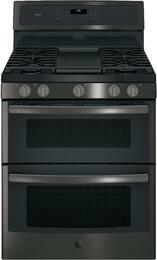 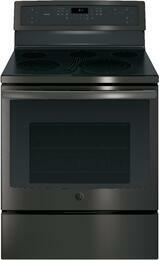 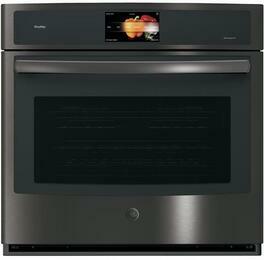 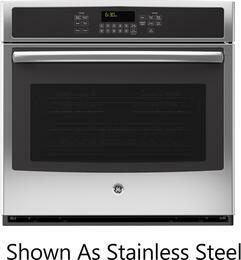 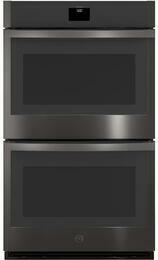 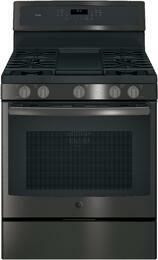 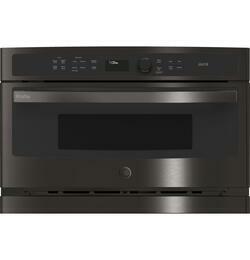 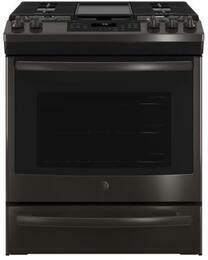 GE offers premium ovens with innovative features in stylish black stainless steel finishes. 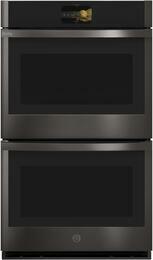 Black stainless steel appliances are a bold alternative to classic color finishes and are desired for their sleek aesthetic and fingerprint resistance. 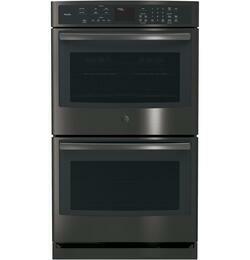 GE black stainless steel ovens measure at 30" wide and are available as slide-in or freestandingmodels for flexible installation options. 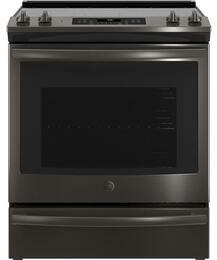 Decide which fuel type makes sense for your home: electric or gas fuel models. 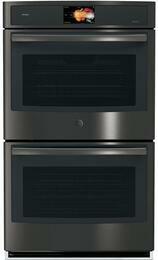 GE black stainless steel oven feature options include storage drawers, convection cooking, self-cleaning modes, digital temperature displays, griddles, cast iron grates, and ADA-complaint models. 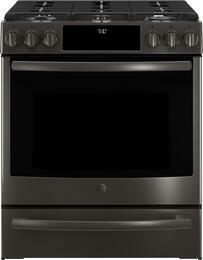 Select models include key features such as exterior digital temperature displays which offer precise readouts and can be recessed or raised for easy viewing. 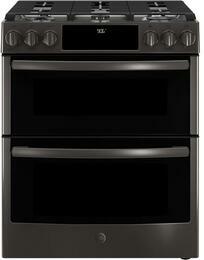 Dual-element baking functions produce even heat and ensure consistently great results. 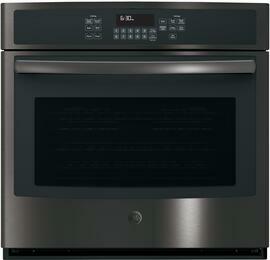 Large glass windows and bright internal lighting allows for a convenient view of the oven interior. 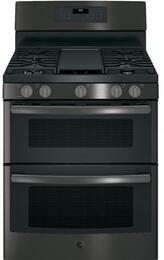 Heavy-duty continuous cast-iron grates allow for easy repositioning of pots and pans around the cooktop. 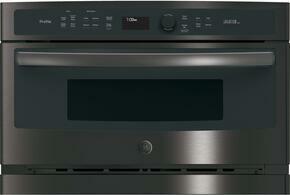 Complement your black stainless steel oven with some of GE's other high-quality products. 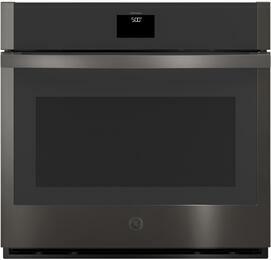 For powerful ventilation, be sure to choose a premium GE range hood. 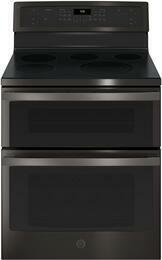 Complete your range setup with some of GE's convenient range accessories. 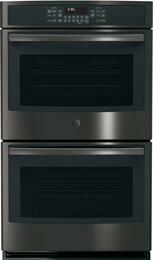 Outfit your home in modern style by building a complete GE kitchen appliance package!